Here's my DT card for new CMM Challenge #80 - Make it Sparkle. I am thrilled to be a hostess of this challenge and hope you like the theme I picked as much as I do. I love playing with glitter so much if I start I can’t stop! And after my card is done it is never the only thing that sparkles, my crafty room sparkles, and my clothes sparkles, and my hands and face sparkle too. Now grab your pretty colorful glitter and let’s sparkle! You can use glitter, paper and/or stickers with glitter etc. Don't forget to pop to Card Makin' Mamas Blog. CMM DT Ladies created fantastic projects to inspire you for this challenge! Привіт, мої Хороші! Показую вам листівку, яку вийшла в результаті мого МК, який ви можете прочитати в попередньому дописі. Цього тижня я вперше мала нагоду провести завдання на блозі Card Makin' Mamas, обравши для нього тему. Оскільки в нас земля вкрита снігом, і його падає все більше, він рипить під ногами, а на сонці та під місячним світлом виблискує просто магічно, я обрала тему блискіток. І моя листівка цілковито цій темі присвячена, так само, як і листівки решти талановитих дівчат із ДК Card Makin' Mamas. Обов'язково зазирніть туди й перегляньте інші чудові роботи! Our sponsor for this week is fabulous Aurora Wings! 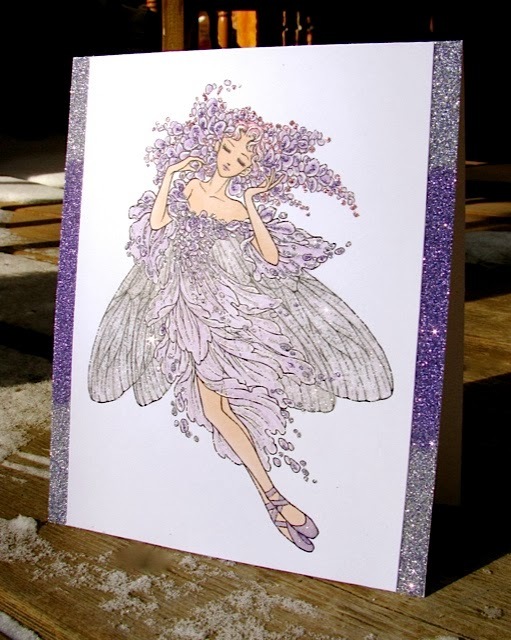 And I used Ballet Fairy image for my card. It is coloured with copic markers, white gel pen and lots of glitter. And if you need a bit more inspiration or some hints please check my Glitter Accents Tutorial. І якщо ви ще не читали мого МК роботи з блискітками, то запрошую обов'язково його переглянути! Сподіваюся, що знайдете там корисні поради. So beautiful. I love her!!! TFS and joining us at Jo's for Funday Friday. Lilia: Glad you’re joining us at Simply Create Too for our Mother’s Day/Female Challenge. 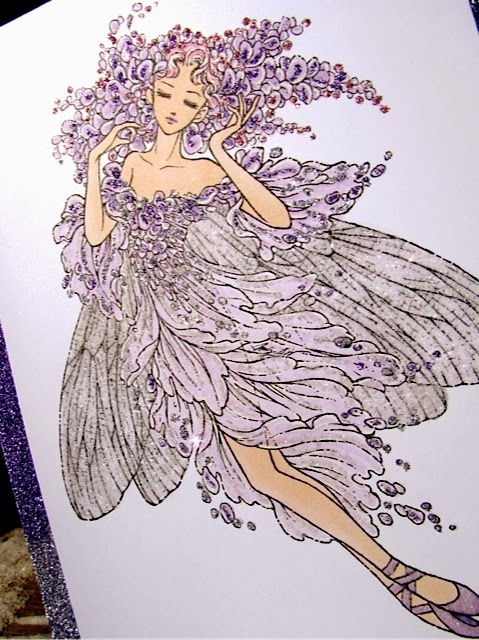 Your purple card is so pretty--love all your glitter. Eine zauberhafte Karte. Danke daß du damit bei der SsC mitmachst. Very pretty, nice colors too, thanks for joining FFC! So sparkly beautiful! Love the gradient effect down the sides. Thanks for joining the fun at Simply Create Too. Love all the glitter and purple! Thanks for joining us at Simply Create Too! Thanks for joining us at Penny's Paper Crafty and I hope we'll see you again soon! What a wonderful card !